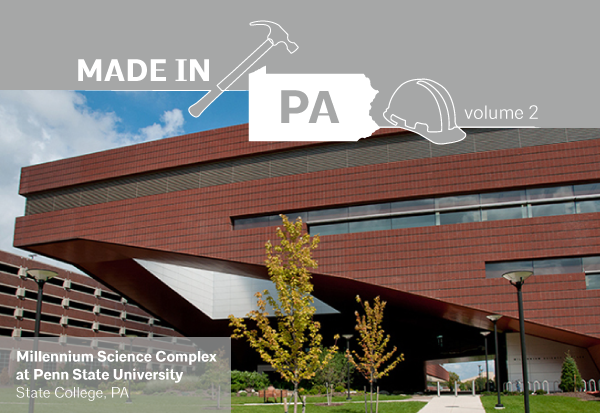 AIA Central PA is proud to bring you volume two of the MADE IN PA SERIES. MADE IN PA is a series of tours through Central PA facilities that produce building products that we in the construction industry specify daily-giving you a behind the scenes look at the manufacturing process. If you have an idea for a plant or factory tour please email Kelsey Leed at kleed@cra-architects.com. Registration is open below. 10:00 am Arrive and park at the Eagles Nest restaurant and venue. Shuttle vans will be waiting to take guests about a mile down the road to the Plant. Long pants and closed toed shoes required. Glen Gery will provide all personal protective equipment (PPE), however, guests are welcome to bring their own they may.